On Thursday, February 23 anyone who owns an iPhone will be able to watch Dolce & Gabbana&apos;s Milan Fashion Week Fall 2010 runway show live at 9am EST. 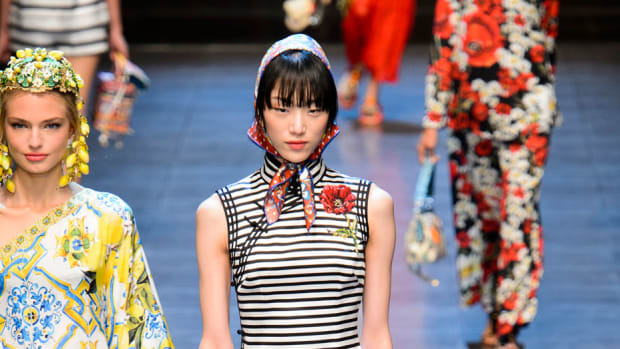 If you miss that, you can wake up at 7am EST on Sunday to take in diffusion line D&G&apos;s collection. Dolce & Gabbana began broadcasting shows live on its Web site back in 2005, so it&apos;s no surprise the brand has taken livestreaming a step further as the practice becomes the norm. And yes, the stream will still be available on live.dolcegabbana.com as well as on the brand’s official Facebook page www.facebook.com/DolceGabbana. That this happened at Dolce & Gabbana — and in Milan — is unfortunately not that surprising.